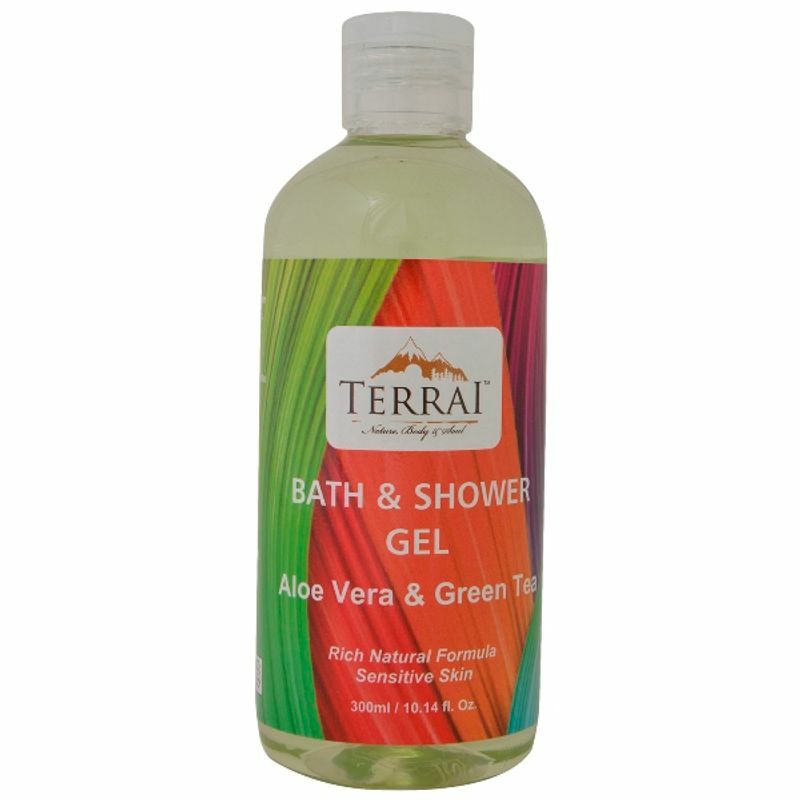 Terrai Aloe Vera & Green Tea Shower Gel, with all natural foaming action, cleanses without stripping skin of its natural protective moisture. Natural Aloe Vera is blended with Green Tea extract and formulated into a non-drying skin cleanser that washes with care and leaves you refreshed and revitalized. Explore the entire range of Shower Gels & Body Wash available on Nykaa. Shop more Terrai products here.You can browse through the complete world of Terrai Shower Gels & Body Wash .